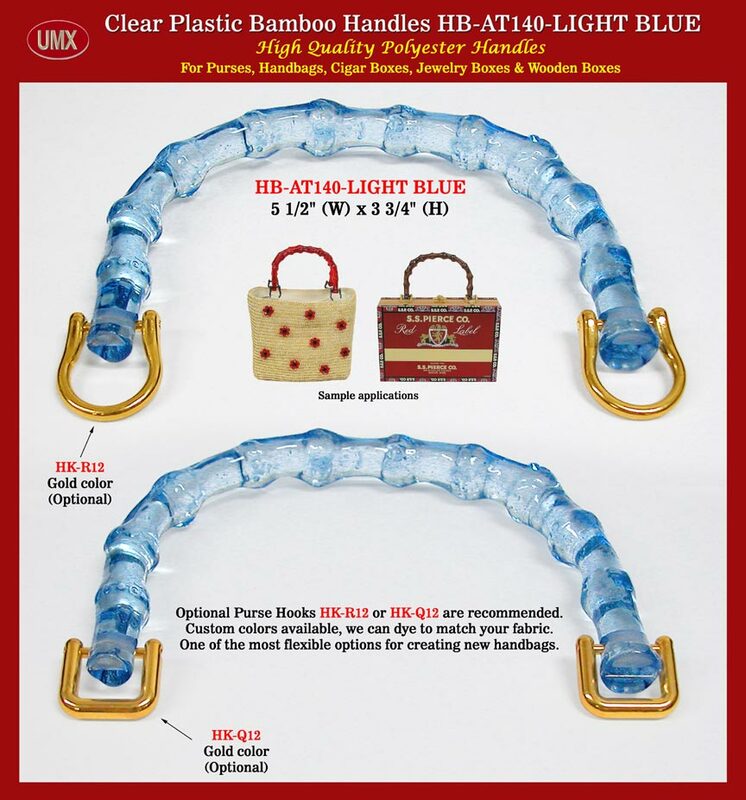 Your are viewing: UMX > Purse, Handbag, Cigar Box > Handles > Bamboo > Plastic > Light Blue. Translucent Light Blue Color Plastic Bamboo Handle - Wholesale. We are wholesaler and supplier of translucent light blue color plastic bamboo handles. Our factory design and make bamboo plastic handles for purses, handbags, cigar boxes and jewelry boxes making business. Please check our online catalog for more wholesale light blue plastic bamboo handle information. UMX > Purse, Handbag, Cigar Box > Handles > Bamboo > Plastic > Light Blue. Translucent Light Blue Color Plastic Bamboo Handles - Wholesale.